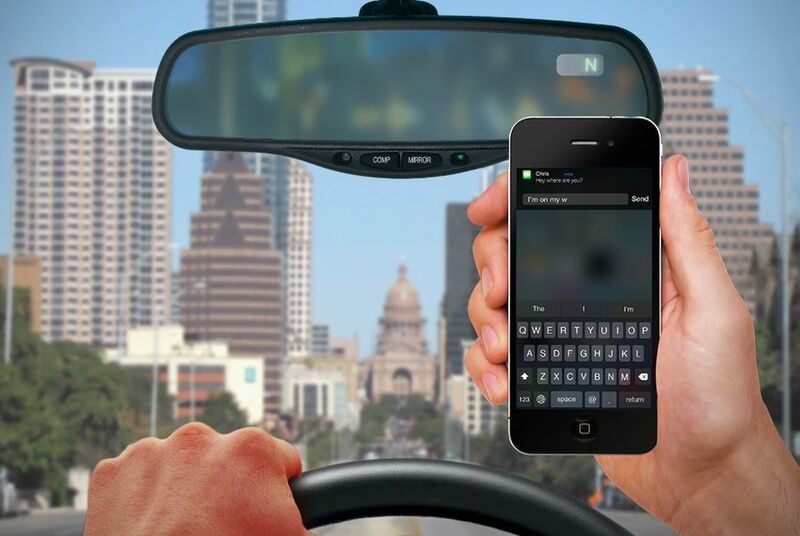 Texas remains one of four states without a statewide ban on texting while driving, but Rep. Tom Craddick and Sen. Juddith Zaffirini plan to try again. James Shaffer used to be guilty of looking down at his phone while driving. He thinks about that now, just months after a distracted driver unlocked her phone and swerved into oncoming traffic, killing his wife and 12-year-old daughter. "It's just that you become more aware of it when it hits home," Shaffer said. Now, he can't help but notice dozens of distracted drivers on the road. Since the wreck in April, he's spent his energy calling on public officials to pass laws that ban texting while driving. He's started small – testifying at local city council meetings in Denton. But he hopes lawmakers heading back to the Capitol in January will finally pass a statewide ban on texting while driving. "I think the state of Texas needs to take a hard look at this ... and a strict stance on this," Shaffer said. "It's not going away. It's getting worse." Sen. Judith Zaffirini, D-Laredo, hopes to change that with Senate Bill 31, which would make it illegal to text unless the vehicle is stopped. Lawmakers have shot down similar attempts by Zaffirini for four sessions in a row, but she hopes the fifth time's a charm as lawmakers head back to Austin in January. "All we can do is try," she said. "It's so important because more and more Texans have become aware about the danger that’s posed by texting while driving." Zaffirini's legislation mirrors efforts by Rep. Tom Craddick, the Republican former House speaker from Midland, who filed anti-texting legislation in the last three legislative sessions. He filed his fourth attempt on the first day of bill filing last week. Once again, Zaffirini and Craddick are naming their legislation after Alex Brown, a West Texas high school student who was killed in a crash while texting and driving in 2009. It will be an uphill climb, however. The legislation was approved by the House in 2015 and 2013 but halted by the Senate. Zaffirini was just one senator short of passing the bill through the Senate in 2015. It passed both chambers in 2011, but was vetoed by then-Gov. Rick Perry. Craddick is hopeful it won’t be vetoed by Gov. Greg Abbott if it passes both chambers during the 85th Legislature. He said he's also heard positive remarks made by Abbott and Lt. Gov. Dan Patrick in Midland. Patrick voted against the legislation as a senator in 2011, but has since moved closer to supporting a texting ban. His office did not return requests for comment. It’s likely Craddick will meet similar opposition in the Senate this time around, but he said he disagrees with criticism that it will take away Texan’s rights. Alva Ferdinand, a faculty member at Texas A&M’s school of public health, led a 2015 study that found a 7 percent reduction in crash-related hospitalization in states that have enacted texting while driving bans. An earlier study by Ferdinand found that texting bans led to a 3 percent reduction in traffic fatalities among all age groups. Shaffer, who is all too familiar with those statistics following the death of his wife and daughter, called on lawmakers to pass the legislation. His daughter's cheerleading team even created a petition, which has more than 33,500 signatures and will be sent to the state senate, house and the governor's office. "I absolutely hope it passes this time," Shaffer said. "If not, they're going to get an earful from me." Here’s an early look at the bills expected to draw attention when lawmakers reconvene in Austin in 2017. Doctors, law enforcement officers, and family members of crash victims gathered at the Capitol to testify in support of a statewide texting-while-driving ban. Forty-four states now ban text messaging while driving. Disclosure: AT&T and Texas A&M University have been financial supporters of The Texas Tribune. A complete list of Tribune donors and sponsors can be viewed here.